If you’re looking to further your education, either to change career path or embark on one, you might be put off by the cost of college tuition. While online degrees can be expensive too, this mode of education allows for flexibility and remote study, meaning you can pursue your degree alongside your day job. 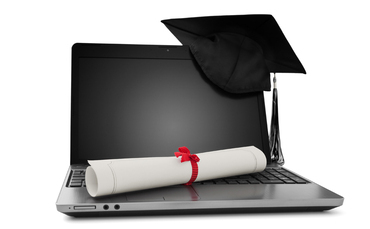 The benefits of studying online are plentiful, but you need to be sure you’ve chosen the right field to graduate in. With many college graduates struggling to find work, you don’t want to put time and money into a career choice that doesn’t pan out. Here are five degrees that are worth investing both time and money into. Human resources is a lucrative field, and it’s growing and expanding all the time to accommodate the changing face of business. What’s more, companies will always need skilled HR leaders, so there are potentially endless opportunities for progression. However, getting into HR isn’t just about being good with people. You’ll also need to have a strong background in business mangagement and accounting to be suitable for the many requirements of the role. Consider enrolling on one of the Oakland City online HR degree programs to expand your education and start building your human resources resume. There will always be a demand for healthcare professionals, especially those who specialize in certain areas. The healthcare sector is diverse, so you could work as a medical technician, an obstetrician, a nurse, or an administrator. Obviously, the more qualified you become, the higher your earning potential. However, working in healthcare isn’t all about financial reward, it’s also incredibly rewarding to give back to the community and help those in need. Many people don’t believe they can obtain a medical qualification online. However, due to the hands-on nature of a job working with patients, an online learning institution would arrange special internships for you to learn the practical skills alongside your coursework. People will always need help managing their money, so as a financial planner or accountant, your services will always be in demand. What’s more, with the rise of online businesses and small startups, people are always looking to outsource their financial planning to those who have the qualifications to help them balance the books. Working with money requires great responsibility, and luckily the salary usually reflects this. Advertising in the modern era relies on numerous online channels, such as social media, email, web pages and website design. Due to the fact that online marketing is cheaper and the outreach is far greater, this is the way that most businesses, big and small, choose to advertise their product. Marketing is a growing industry, and there is more opportunity than ever to go freelance and work anywhere in the world according to your own time schedule. Although you need to consider your future career progression when choosing an online degree, don’t make the decision purely on how much money to stand to make. If you don’t feel passionately about your subject area, you’re not likely to withstand the duration of your course, let alone the rest of you working life.